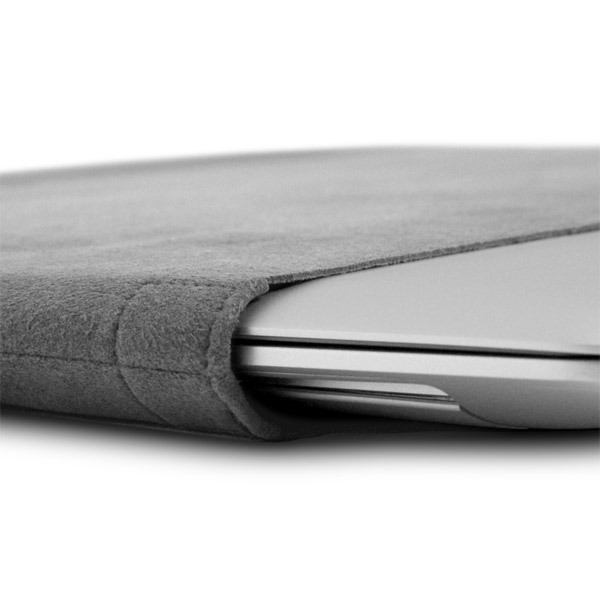 Elegant, form-fitting laptop sleeve case insulates your MacBook, MacBook Air, MacBook Pro, PowerBook or iBook from life's little hazards. 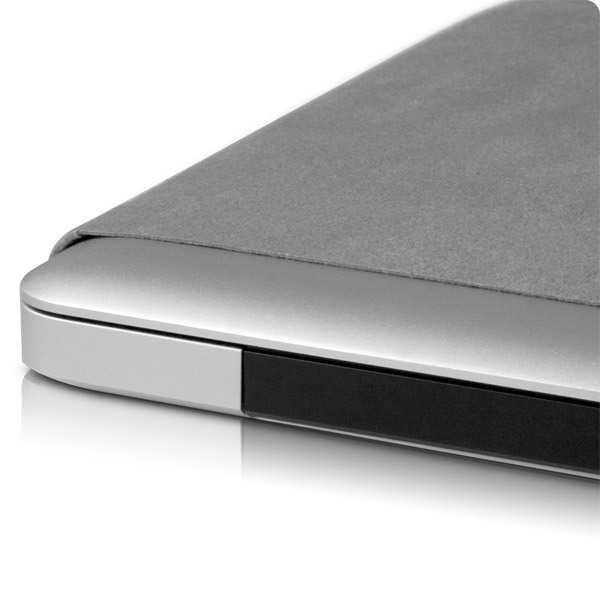 Description: RadSleevz cases for Apple Notebooks elegantly protect the exterior finish of your notebook from all of life's little bumps and grinds. Made from RadTech's Optex Super80 fabric and available in 6 exciting shades. RadSleevz stretch on like a glove, sensuously hugging every curve of your machine. 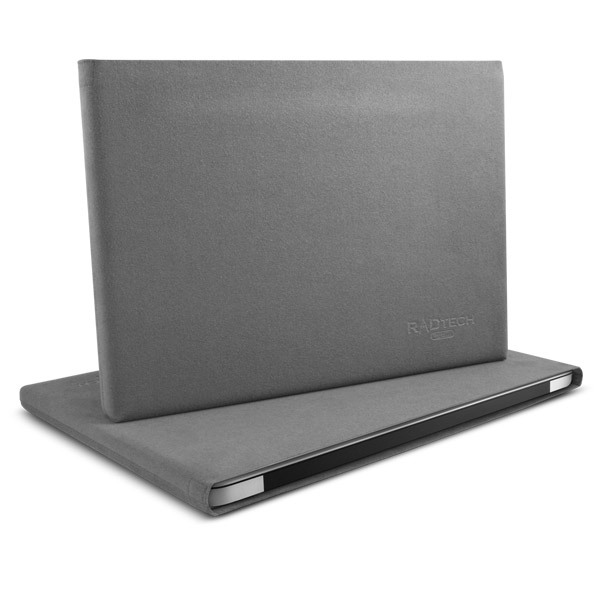 Uniquely tailored construction method fits your notebook like a glove and RadTech's exclusive Optex fabric allows you to safely clean the computer's screen with no fear of scratching. 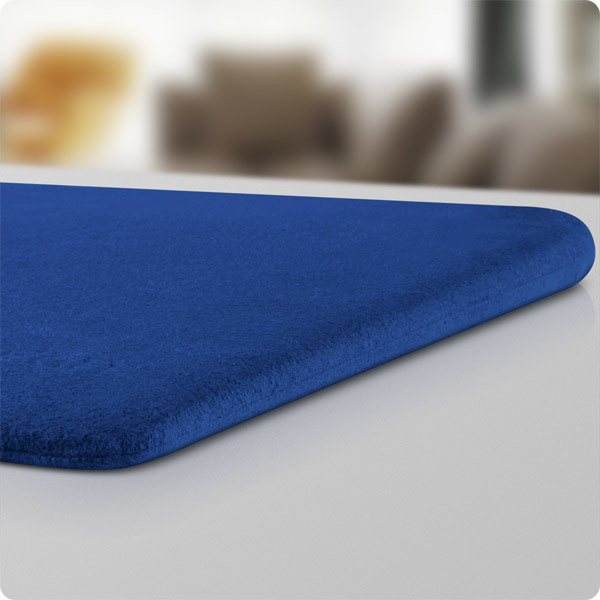 RadSleevz can also be used to insulate lap or furniture from hot notebook bottoms. Extremely lightweight, flexible and durable like RadTech's popular ScreenSavrz. RadSleevz offer substantial protection without adding to your load. Average weight is just 36 grams and RadSleevz fold up small enough to easily fit in your pack, purse or pocket. 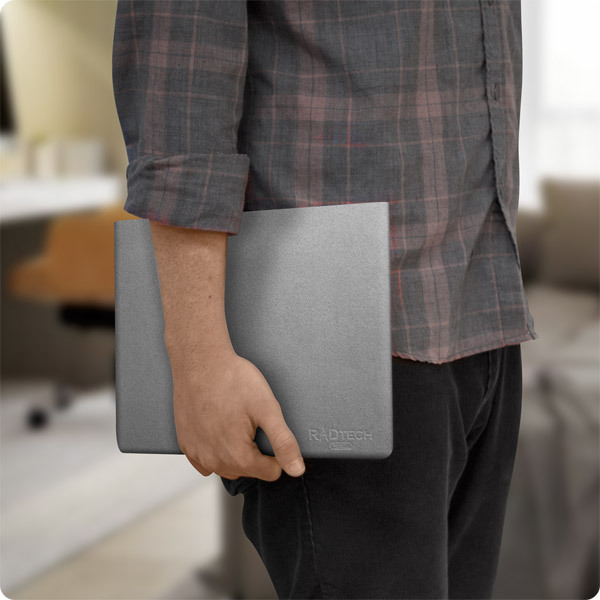 Protects the exterior finish of the notebook from your larger case's zippers, rough linings and hardware - or anything else which might cause damage. 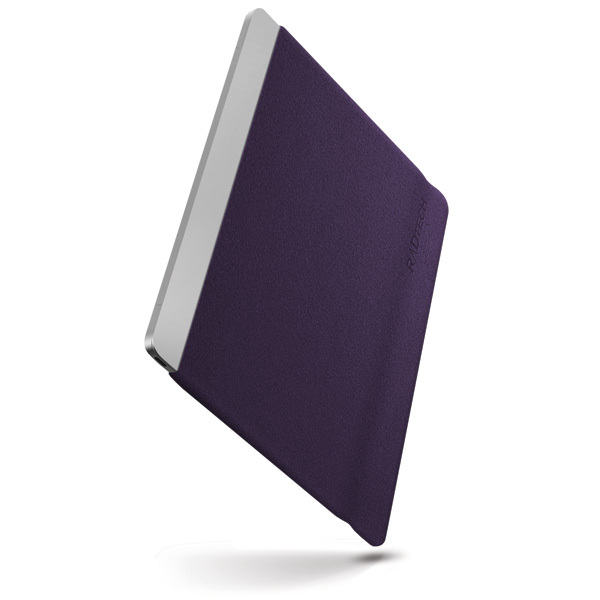 Makes a great, hassle-free tote when you just need to take the 'Book. And all RadSleevz are TSA Checkpoint Friendly.